Brings the Lighthouse issue tracker to your Mac. Is there a better alternative to Lighthouse Keeper? Is Lighthouse Keeper really the best app in Internet Utilities category? Will Lighthouse Keeper work good on macOS 10.13.4? 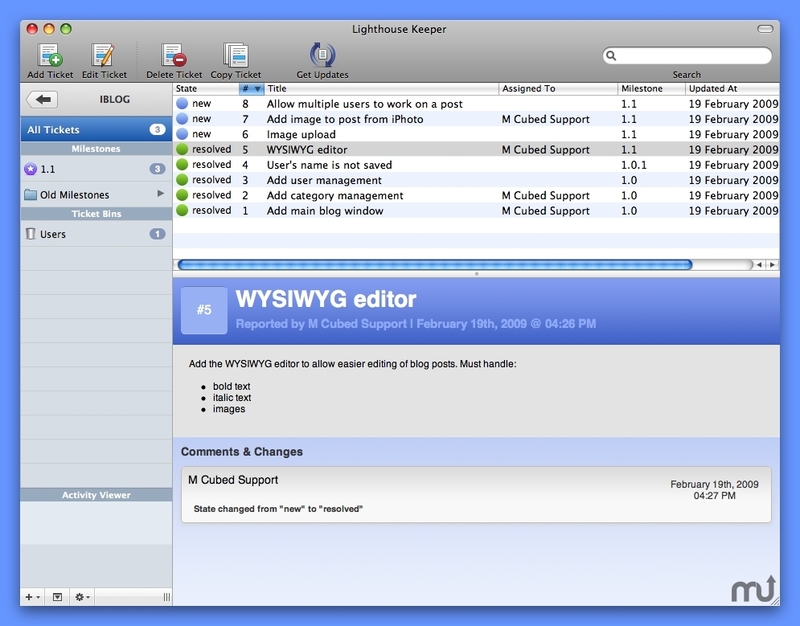 Lighthouse Keeper brings the Lighthouse issue tracker to your Mac. By combining the connectivity of the Web with the power of the desktop it gives users the best issue tracking experience on any platform. Lighthouse Keeper includes support for managing your tickets, milestones and ticket bins with features such as searching across multiple accounts and a global hotkey for adding new tickets. Version 2.0.1: Release notes were unavailable when this listing was updated. Lighthouse Keeper needs a review. Be the first to review this app and get the discussion started!